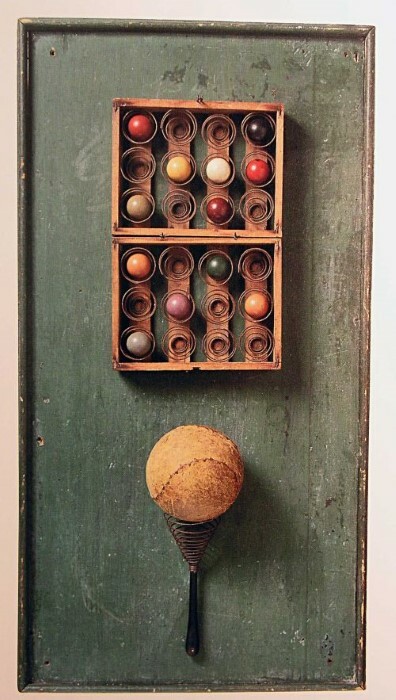 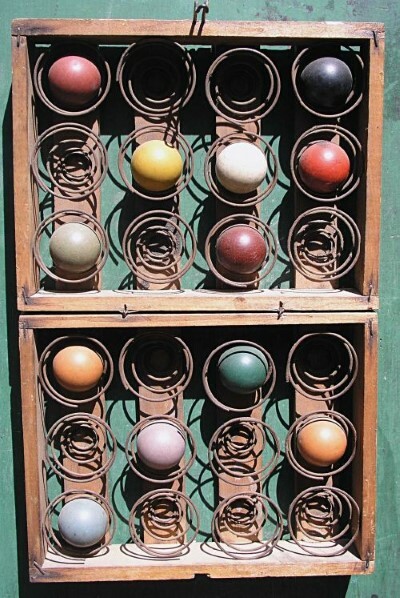 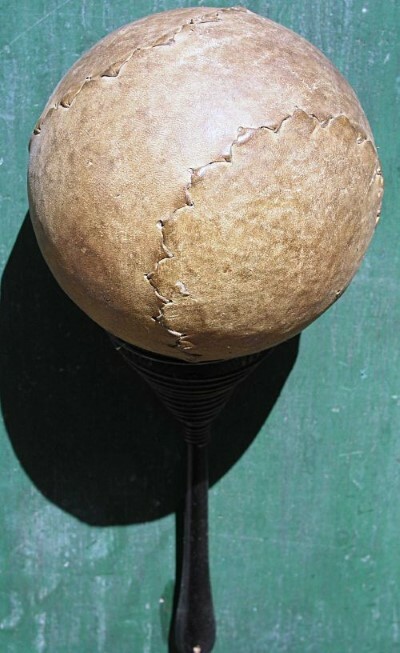 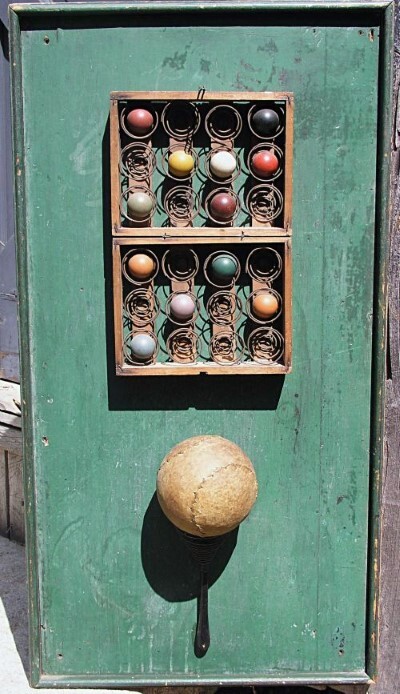 Vintage Green painted black board with early egg shipping crate together with small colored balls above an old softball inside a spring handled kitchen utencil. 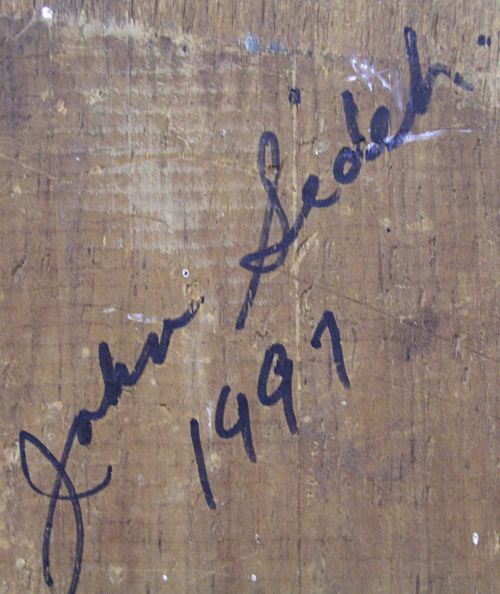 Signed on the back John Sidili 1997. 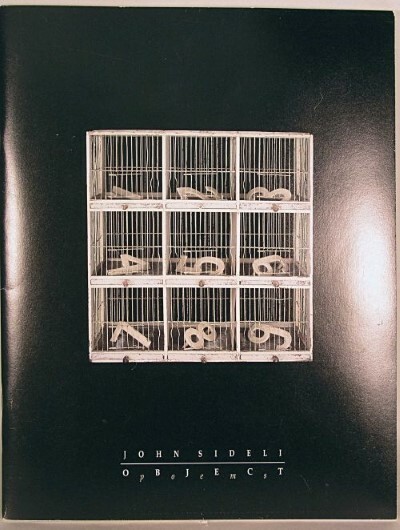 Original April 1 - May 2 1998 Giampietro exhibition catalog included.